Shakin' The Blues / The Old Man And The River - Sleazy Records, S.L. Johnny Paycheck had to wait almost twenty years from his first steps in the record industry to reach the top of the country music charts. That would happen in the 70s, when Johnny became a big name of the outlaw country, but this little guy, quarrelsome, friend of drugs and alcohol and a specialist in getting in trouble, started his recording deals at the end of the 50's, after earn a living on music since his early teens, learning the business from the bottom, in bars and honky tonks where he always tried to earn a few bucks singing and playing his guitar. At the end of the 50's Donald Eugene Lytle, as it was christened, signed a contract with Decca Records where he arrived by the hand of Owen Bradley. 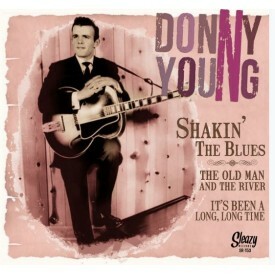 From 1958 to 1961 he recorded 4 singles under the pseudonym of Donny Young. Donny was trying to make his own career in music while his ability playing the bass and harmonizing took him to back some big country stars as Faron Young or George Jones, with whom he would develop a deep friendship. Donny would be in and out with Jones´ band, The Jones Boys, from '59 to '66, and it´s been said that Donny´s vocal style even influenced the way of singing of The Possum, something that Jones himself never denied. In his Decca years, Donny coincided with another great of the country music, George Miller. He participated in some of Donny´s recordings supporting him on backing vocals and even writing songs for him. Both had to wait several years before their talent was recognized. Undoubtedly, the lack of success of Donnie´s Decca´s recordings was due to a lack of promotion from Decca, being all his recordings fabulous, and perfectly suitable for the Nashville country scene of the early 60's. In this single you’ll find two good examples of it. SHAKIN 'THE BLUES is probably his best song on Decca, written for him by George Jones himself in 1960 it appeared on Donny's third single. Shakin The Blues is off course a country song, but its arrangements approach it remarkably to rock'n'roll. On the other side THE OLD MAN AND THE RIVER and IT´S BEEN A LONG LONG TIME. 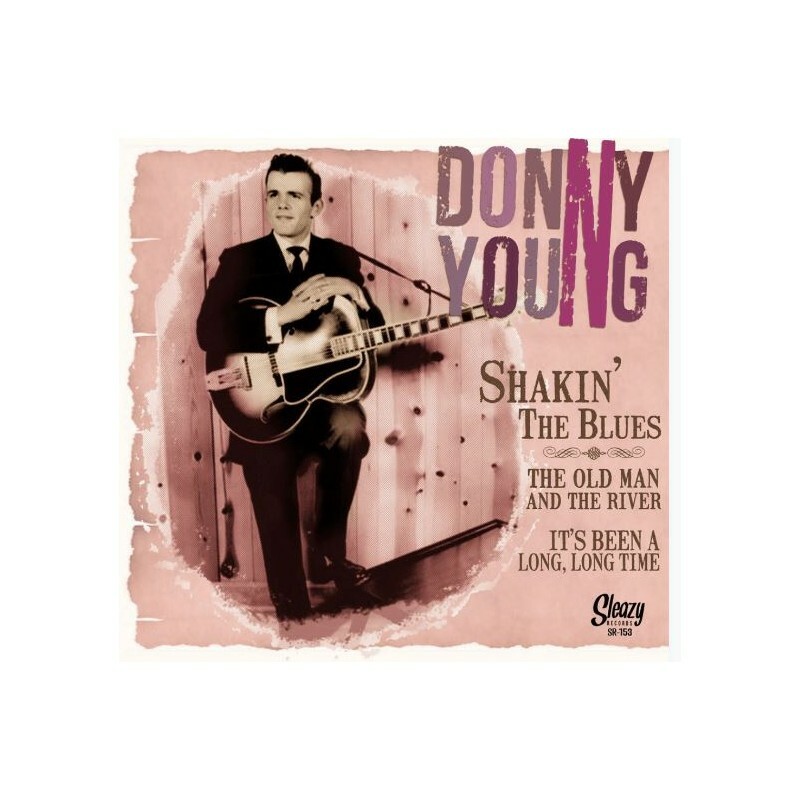 The first one appeared in his second single for the company in 1959, a cajun flavoured tune written by Roger Miller, and the other was Donny´s debut single for Decca, a song that could suit perfectly on the Faron Young´s songbook. The three songs had all the ingredients to ring the bell but inexplicably went unnoticed. After several singles more in Mercury and Todd Record, Donny Young switched to Johnny Paycheck in 1964, hitting finally the charts with its third single for Hilltop, A-11. His 60´s recordings are considered some of the head stones on the outlaw country sound, and in the 70´s he finally got the deserved recognition.